What do you get the little people in the family for Norouz or as Indian Parsis call it Navroj? Tradition for us Iranis says mint banknotes but these days that will just help buy a mobile phone or a killing-spree game. 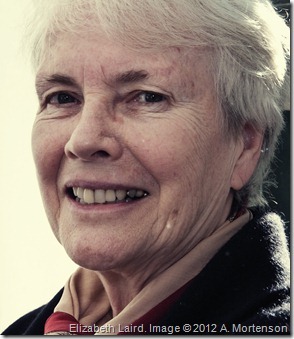 One friend suggested Shahnameh – the latest retelling by British author Elizabeth Laird. It’s a book children will enjoy or, if focus beyond 140 characters is a problem, pass on to other kids: “I tried to hit my brother with this but it’s too big”. 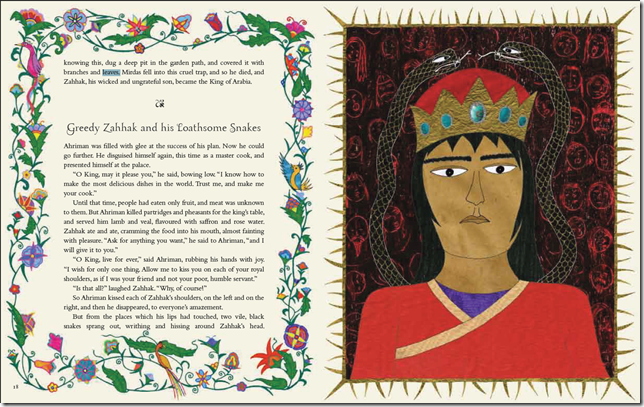 Laird’s Shahnameh: The Persian Book Of Kings is a magnificent and brilliantly illustrated rendering of Ferdowsi’s epic that takes the tragedy of Rustam and Sohrab to a fresh readership. 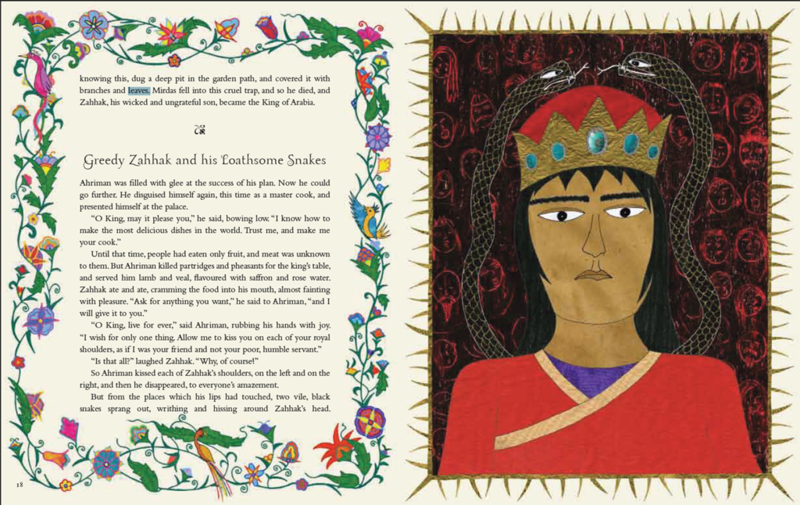 Complemented by illustrator Shirin Adl’s vivid artwork, Laird’s book sets children off on a rollercoaster that introduces them to key players in Persian myth. 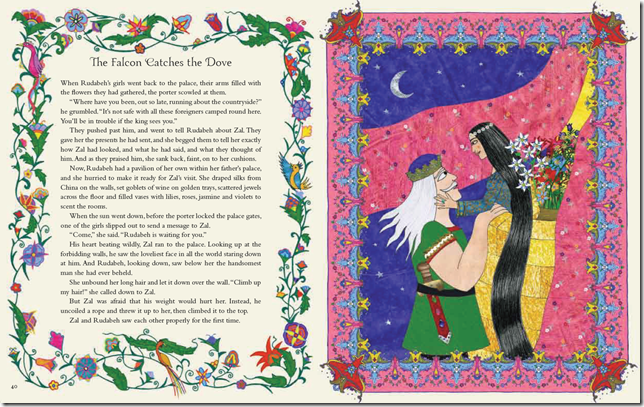 Ferdowsi, of course, intended Shahnameh as chicken soup for the Persian language yet he would surely not object to non-Persian speaking authors such as Laird paying homage to this classic of Perisian literature and claiming the attention of an English-language readership – that after all is how many Parsis have come to connect with his work. 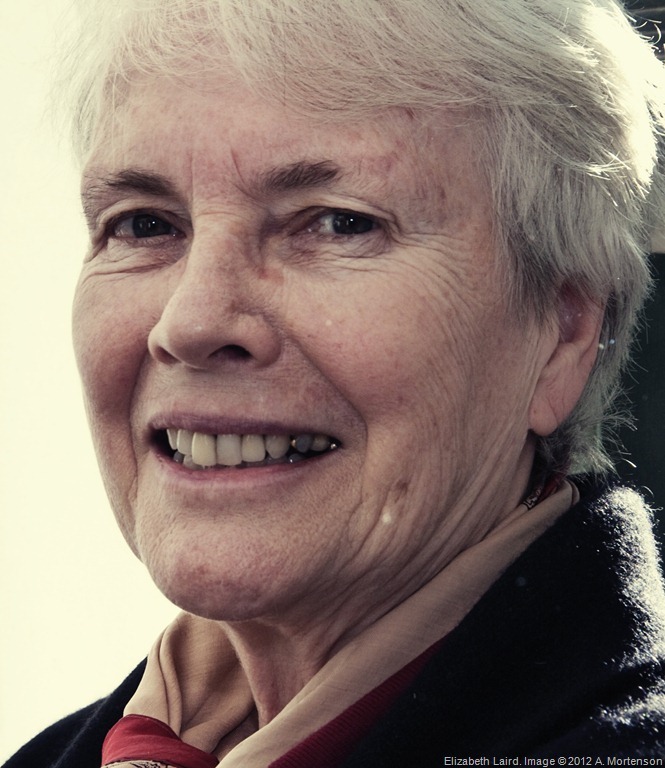 Laird is a seasoned globetrotter whose controversial novel A Little Piece Of Ground – set in Ramallah – raised hackles in Israel when it was published in 2003. (It tells the story on a soccer-obsessed 12-year-old boy whose dreams are marred by Israeli occupation.) 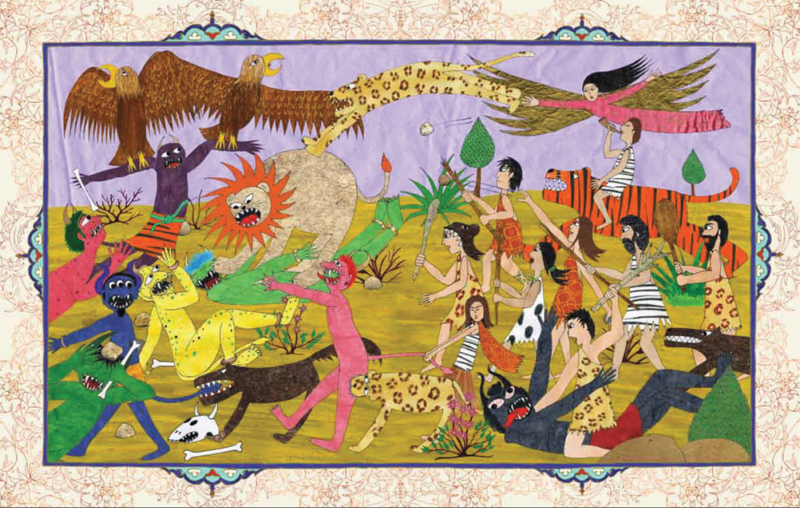 The 69-year-old’s take on Ferdowsi’s Shahnameh follows 2010’s The Pea Boy, her collection of children’s stories from Iran. What drew you to Shahnameh? Too often people in the Europe and the US simply don’t get it about Iran. They know nothing about the beauty of its cities and its architecture, they’ve never eaten its delicious food, they’ve never looked at Persian art and they’ve never heard any of its incredible stories. Shahnameh is right up there with Homer’s Odyssey but no one in the West knows anything about it. Given the incredibly stupid and dangerous breakdown in sympathy and understanding between Iran and the West, I think this is all wrong. I wanted to do a small something to show children that the stories they read in the newspapers and hear on the news don’t begin to show what Persian culture is really like. What do you expect children will take from it? When I was a child in the 1950s there were very few children’s books. We had in our house a 10-volume Children’s Encyclopedia, published in the 1920s. It was a fusty old thing, with fuzzy black-and -white pictures. No child would look at it now. But it was all we had. I used to lie on my tummy and pore over its pages. There were retellings of great stories in those old books and it was in those battered pages that I first met Rustam and Sohrab… How I cried when Sohrab died. I haven’t looked but the tear stains are probably still there. Now, I’m not a cruel person but I would like children to shed tears over that story too. And laugh at Rustam sniffing a rose. And tremble with fright when he fights the White Demon. And marvel at the courage of the warrior girl Gordafarid. And be just a bit jealous of beautiful Rudabeh. Is that too much to ask? Certainly not. And we all cried for poor Sohrab. Or did we cry for Rustam? Hmm. What drew you to Persian culture? I first went to Iran in my giddy youth in 1970 and had a brilliant time travelling around and meeting lovely people. Then my son [a journalist with UK newspaper The Independent] was working there. My husband and I loved hearing all about his adventures. We visited him and he took us with him on some marvellous journeys. Do you have any plans to publish for the Parsi community in India? I had several Parsi friends when I was India but that was a very long time ago and we’re out of touch now. As for plans to publish in India, that sort of decision is out of my hands. It would be lovely though, wouldn’t it? In tell us about you collaboration with illustrator Shirin Adl? 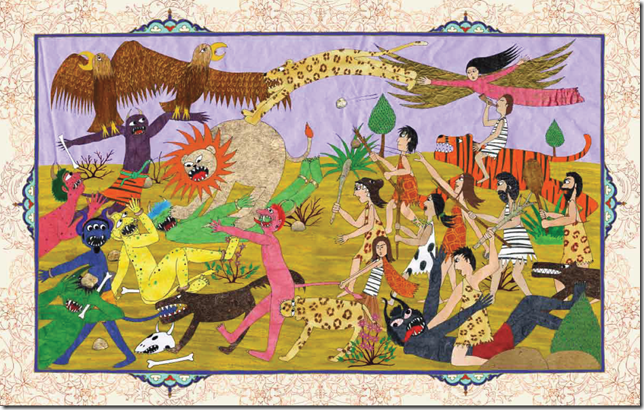 Shirin is a brilliant artist and manages very cleverly to combine references to classical Persian art with a child-friendly feel. I love the way she uses patterns and crumpled paper and the most beautiful colours. 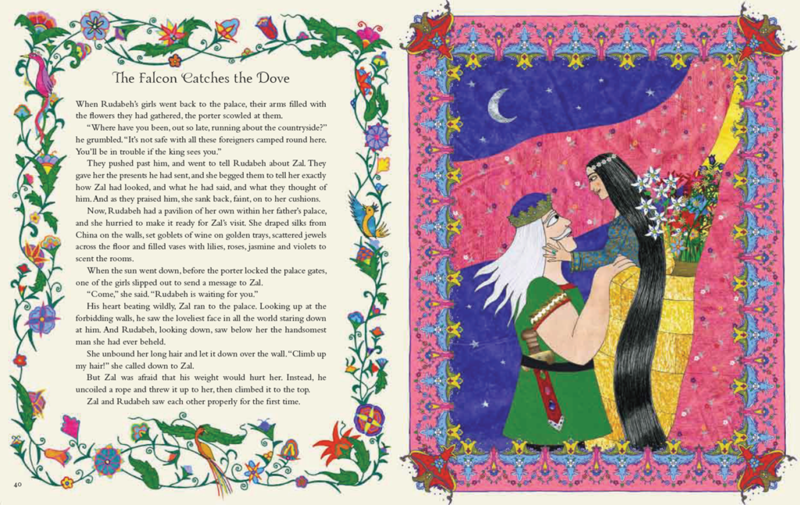 She illustrated The Pea Boy beautifully and I was delighted when she was chosen to illustrate Shahnameh. And finally… did I hear you say it’s good to make children cry? Now that sounds awful! But didn’t you love to cry over a sad story when you were a child? Don’t you love going to a weepie film? It’s that old definition of tragedy – to purge emotions through pity and fear. A child once wrote to tell me that she had read my novel Red Sky In the Morning [about a 12-year-old girl’s relationship with her disabled baby brother] dozens of times and cried buckets every time. And then she said: “It makes me want to go out and do something good for someone.” Isn’t that better than going cross-eyed over a computer game?